In our effort to bring you the best trainings available, we have partnered with Ottawa First Aid to offer workplace approved standard first-aid, CPR and AED courses in the Ottawa area. Ottawa First Aid is not only popular for its affordable prices and great customer service, but also its quality trainings. They give training classes the entire week in different classroom centers. In Ottawa First Aid, students will always be trained by the most experienced and educated teachers in the industry. All first aid classes, including standard first aid, include CPR and AED certification and training. Level “A”, “C” or “HCP” can be partnered with this two-day basic and comprehensive workplace approved course. To enrol in a standard first aid course in Ottawa, Ontario use the registration form posted below. CPR level "A" CPR level "C" CPR level "HCP"
On which day of the week would you like to take this course? We adhere to strict policy and safety guidelines with your personal information. Your information will not be released to any third parties. We will respond to your registration request within 1 business hour. Ottawa First Aid gives all the participants a choice to decide what CPR level they will enroll to. They can choose CPR “A”, “C” or “HCP” (all include AED training). All of the cardiopulmonary resuscitation courses adhere to the most current and highest standards when it comes to cardiopulmonary resuscitation education. Courses may differ in duration depending on the degree of cardiopulmonary resuscitation instruction added with the class. If you need a cheap, but high quality training, Ottawa First Aid is the choice for you. All of the courses they offer are very affordable. This service provider emphasizes in providing affordable courses in convenient areas. In order to provide the highest level of training to its candidates, this provider uses the latest first aid and CPR training equipments. Candidates who successfully complete this program will learn to use all of the supplies found in a basic first aid kit. They will also learn to use more advanced equipments with mannequins, bag-valve masks, pocket masks, AED trainers, asthma inhalers (shown in picture) and epinephrine injectors. 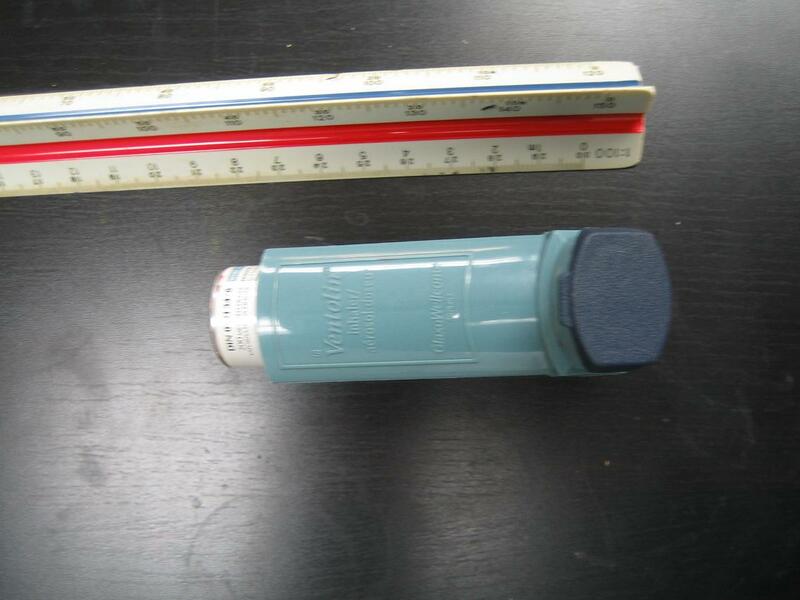 Standard First Aid Course candidates will learn to help patients use asthma inhalers. When students complete the program, they will get a workplace approved first aid and/or CPR award which is valid for 3 years. This award is accepted anywhere in Canada and satisfies national standards. When signing up for a standard first aid program with Ottawa First Aid, individuals can be assured that there are no hidden charges and that they will use neat and comfortable classrooms for trainings. All standard first-aid course prices are listed in their official website. Training venues are conveniently situated all throughout the region. Enrollment may be accomplished using a number of different methods. Students can enroll online which is very simple and fast. Candidates may also sign up for a class over the telephone or through email. Someone will always be ready to assist you during normal business hours in case you have questions or issues. 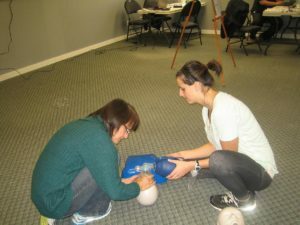 Ottawa First Aid offers students with refresher / re-certification and private training courses. Private courses are available for persons, communities or companies. Contact Ottawa First Aid at [email protected] for more info. Standard first aid renewal courses are available at least once a week in all of the training centers. All re-certification courses include CPR and automated external defibrillator (AED) certification. Please ensure you meet the required prerequisites prior to registering for the course. Participants that want to enrol in re-certification courses must have a current St Mark James award in order to be eligible. This company is known for good quality classes, enthusiastic instructors and up-to-date equipments. Participants who register for standard first-aid programs with Ottawa First Aid can expect best prices and most up-to-date first-aid and CPR/AED trainings. To learn the latest techniques, enroll in a course today. This video shows the latest standards in CPR.